At the first school we visited today in Istanbul we were shown a few small drawings. Two struck us as unusual. The first is a tiny drawing at the bottom of the page, in response to the question, what would you like to be? 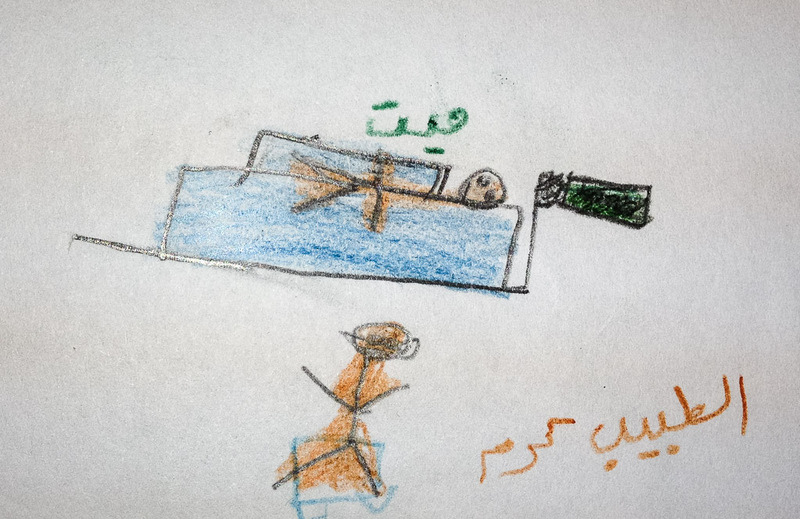 The child drew a picture of a doctor…with a dead patient. A child’s drawing on a development test. The drawing is of what the child wishes to become, a doctor in this case. The patient, however, is already dead. The second drawing was done elsewhere, and it is of a refugee camp for Syrians inside Turkey. The artist is an 11-year-old girl who is now working in a clothing store to make money, we were told. 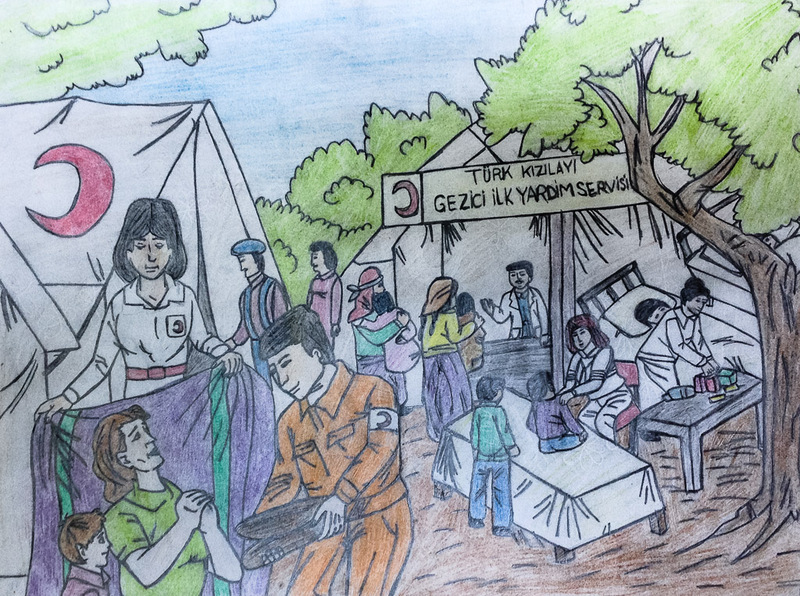 The drawing of a refugee camp for Syrians in Turkey by an 11-year-old girl. She now works in a clothing store in Istanbul to make money. After visiting our second school we had to rush to an internet cafe so our fixer/interpreter, Khalid, could send a photo to some government office before closing time. There, not so far from the Syrian school filled with shell-shocked children, I saw a group of Turkish (probably Kurdish) children playing video war games…. 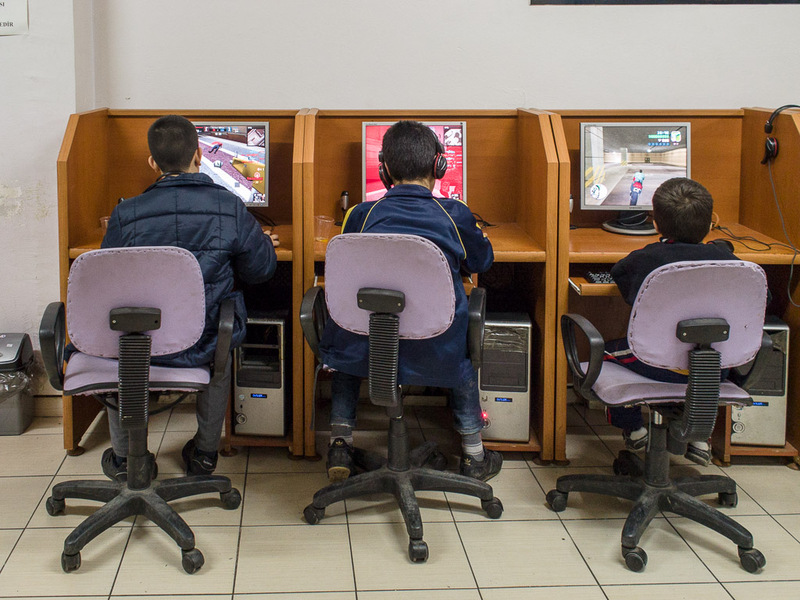 Children play war games in an internet cafe not far from a Syrian school. 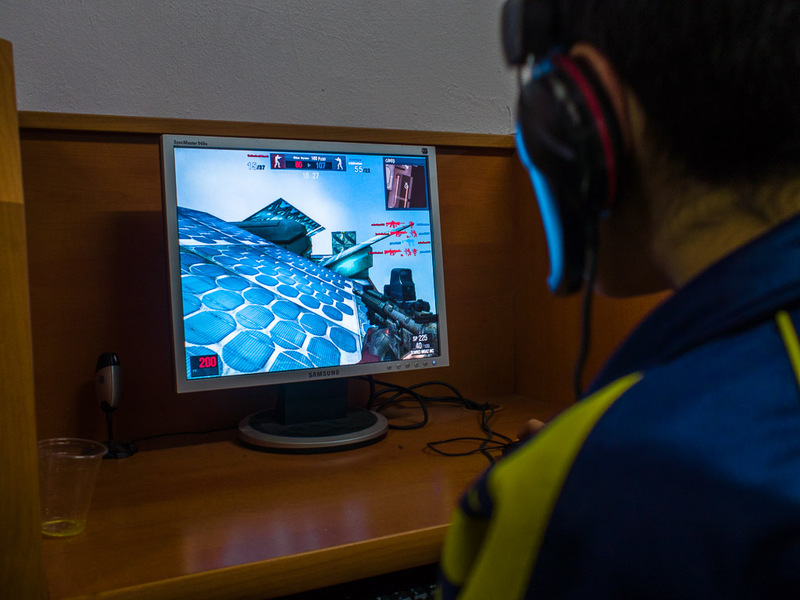 A Turkish child in an internet cafe not far from the Syrian school plays war games on a computer.